The study was a cooperative effort between the team headed by assistant professor Dr Jürgen Knobloch from the Medical Clinic III for Pneumology, Sleep and Respiratory Medicine at the Bergmannsheil University Hospital in Bochum, Germany, and Prof Dr Andrea Koch, member of the German Center for Lung Research (DZL), previously in Bochum, now at the Medical Clinic V for Pneumology at the LMU University Hospital in Munich, as well as a team from the company RespiVert Ltd, a subsidiary of Janssen Biotech Inc., and Prof Dr Erich Stoelben from the Lung Clinic in Köln-Merheim. According to the authors of the study, the new substances may potentially constitute a breakthrough in the treatment of COPD. COPD patients suffer from chronic inflammation of the respiratory tract. Certain enzymes, so-called protein kinases, regulate the inflammation process. They are indirectly over-activated due to smoking, due to pro-inflammatory factors characteristic of COPD, and due to respiratory infections. This results in the production of even more pro-inflammatory factors, which, in turns, promotes disease progression. According to the researchers, Narrow Spectrum Kinase Inhibitors, i.e. NSKI, that inhibit protein kinases constitute a promising therapy approach. Two NSKIs – namely RV1088 und RV568, which were identified and provided by RespiVert for the studies – were tested by the team in cell cultures; the researchers compared their efficacy with a conventional corticosteroid and various Single Protein Kinase Inhibitors, which are likewise considered potential drug candidates. The NSKIs were more effective in decelerating the production of inflammatory agents than any of the reference substances. Therefore, the team tested new drug candidates that target not only one protein kinase or a family of protein kinases, but a specific spectrum of several protein kinase families. In the research lab at the Bergmannsheil Pneumology Clinic, researchers then tested the substances in primary cultures of airway smooth muscle cells taken from COPD patients. “Our study has demonstrated that NSKIs are promising candidates for the development of urgently required anti-inflammatory COPD therapies,” says Jürgen Knobloch. Consequently, he and his colleagues believe that the findings gained in the preclinical model offer an immense potential for a transfer to applications in patient care. According to expert estimates, COPD currently affects 11.7 percent of the global population. 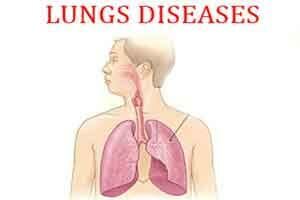 In most cases, the disease starts as chronic bronchitis, and it is mainly caused by smoking tobacco. Current therapies can retard the progression of COPD and provide symptom relief, but they cannot stop it. With the exception of one drug that is used for the treatment of very severe COPD in a subset of the COPD population, there are currently no other approved non-steroidal therapies that target inflammation, which is central for the progression of COPD. Currently available inhaled corticosteroids help alleviate the symptoms of other chronic inflammatory pulmonary diseases and provide some benefit in the prevention of acute exacerbations, but they are currently only recommended for use in combination with bronchodilators and in patients that experience frequent exacerbations. The substances identified in this study are currently being developed further by a pharmaceutical company in a clinical programme, as part of a translational effort to bring these compounds forward for patients.